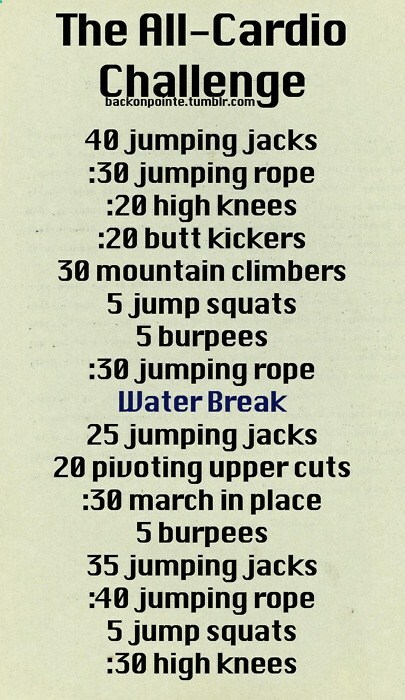 Home Health-Fitness An all-cardio workout challenge! If you need more water breaks, go ahead. Its important to stay hydrated.